If you’re an MLS fan, you probably know Kyle Martino for the color commentary he does on Fox Soccer Channel. And his refreshingly non-annoying explain everything commentary. However, it was only a few short years ago that Martino was lacing up the boots and playing in the MLS himself. Unfortunately, Martino’s career was cut short by injuries that forced him to retire at the ripe old age of 28. Martino made 141 appearances and scored 13 goals in his six year MLS career, four years with the Columbus Crew and two with the LA Galaxy. He scored one goal in his 8 caps for the United States national team. Oh yeah, you might also know Martino due to his engagement to Eva Amurri, who knows a thing or two about soccer herself. SoccerTrainingInfo: For a young player, is there a short cut to getting better? We like the idea of trying to find a mentor and playing with older players who are better than you. Ideally, playing with players who’ve played professional soccer. so you cant spend enough time getting touches on the ball. STI: You played with Beckham at the LA Galaxy, what was he like a training sessions? STI: What key skill do most young players lack? Is it shielding the ball, good first touch, or something else? irrelevant if a player cant get the ball under control instantly. STI: How many hours a day do you think kids need to spend time with the ball if they want to be a pro? 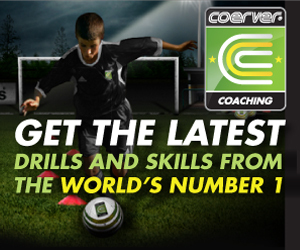 STI: What are your thoughts on the Coerver Coaching method and its usefulness for young players? 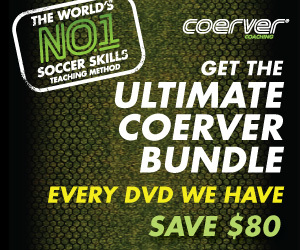 KM: I think the Coerver method is great for young soccer players. I am a product of it and took so much away from my time in the system. STI: Who is your favorite player playing today and why? watching one of the greats live. STI: What soccer team do you follow and support and don’t miss their games even if they are on at 4am? KM: Being an analyst I don't really support any of the teams. There are very few games I miss these days. STI: Are you able to play soccer at all today, pickup games and the like? KM: I am able to get out and knock the ball around from time to time. get in a casual pick-up game to feel the ball at my feet again. STI: What’s better, Champions League or the World Cup? STI: Does Eva Amurri have some soccer skills? KM: We are working on it.